#Soorma brings to screen one of the greatest comeback stories of a sportsman: hockey legend Sandeep Singh… A brave and inspiring story of will, determination, optimism and passion… Well-directed by Shaad Ali. Soorma is designed as a story of good yet tough guys: good players, good Samaritans and good administrators. There isn’t much of a conflict. We always know where it is heading.Soorma doesn’t attempt to probe beyond the obvious, even if you don’t know the real story. With 131-minute duration, Soorma presents Sandeep as the ultimate boy scout. A tinge of reality wouldn’t have hurt. The film keeps that crucial spirit to the fore when it starts off. Till Sandeep is shown as a regular guy supporting his older brother who is the hockey player (Bedi) with promise and with an eye on the India jersey, gently flirting with a pretty girl, and generally being a good son, Soorma stays believable, and watchable. 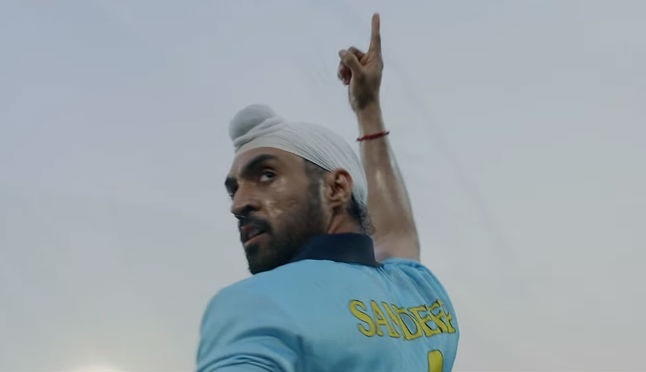 Soorma is more drag than flick, a hockey film sans genuine impetus. It is nowhere near the league of Chak De India despite telling a story that is no less intense than a wrongly victimized coach’s struggle for redemption. Come to think of it, the Shimit Amin film was made over a decade ago. Why hasn’t the Mumbai movie industry delivered another sports drama quite that good? The reason is obvious: Bollywood just doesn’t do sports well. Its rules militate against the genre. Soorma, a wasted opportunity, demonstrates why and how. A captaincy of the national hockey team, an Arjuna Award recipient and a man who was accidentally shot – Sandeep Singh’s journey sure merits a biopic. However, Shaad Ali’s narrative lacks the cinematic drama that a solid subject like this demands. There are elaborate scenes of the game, but none that make you sit on the edge of your seat or recreate the thrill of watching a sport. So if you just want to know when, why, how and what happened to Sandeep Singh, go watch Soorma. It is a story told with its heart in the right place, and on that count it scores. Only that, it shows you the reality, minus the goosebumps. Soorma (which means “warrior”) does that to a certain extent, but just when it needed to give us an inside view of Sandeep Singh’s life, it inexplicably decides to become an aloof observer. Since I did not know about this remarkable man before watching this film (sorry, sports buff, but that is the truth), I am glad I did. But it is a pity that Ali and his team manage to draw us into the pages of his world only up to a point but mess up the most important chapter. 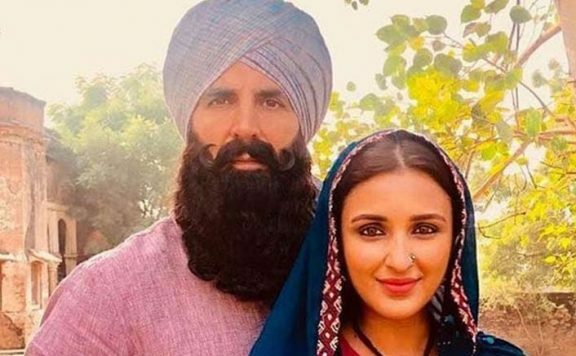 Diljit Dosanjh and Angad Bedi are always worth watching, but the film should have been a lot more than what it ends up being. After a string of box office misses, Shaad Ali takes up the task of telling a story of a hockey legend in a cricket-crazy country and manages to keep us glued. The film might, in bits, come across as documentary-ish as it ticks all the career achievements of Sandeep Singh. Time will tell if ‘Soorma’ will find its place in the biopics made on Indian sportsmen. Despite its minor flaws, ‘Soorma’ is a film crafted with care and a story that needs to be watched. Soorma tells the story of the international hockey player Sandeep Singh, played by Diljit Dosanjh, who was paralyzed and used a wheelchair for two years after an accidental gunshot injured him in 2006. The film’s tagline is “The Greatest Comeback Story of the Hockey Legend Sandeep Singh”. Fighting against all odds, Sandeep got back on his feet and made a comeback to international hockey in 2008.